SIG Sauer TANGO6 Always in Stock at the Best Price! 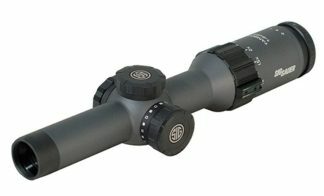 SIG Sauer TANGO6 First Focal Plane Rifle Scope is equipped with SIG’s revolutionary Leveplex, it detects the internal level of the scope and displays in orange on either side of the reticle when the scope is not level. The levelplex helps keep your scope level within plus or minus .5 degrees, much more accurate than a bubble level. 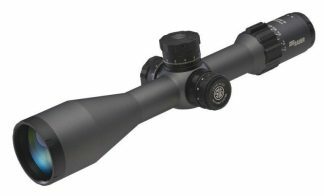 The SIG Sauer TANGO6 First Focal Plane Rifle Scope is equipped with upgraded T120 high speed low pro le turrets, To help the shooter quickly engage the target with less revolutions of the turrets. The SIG Sauer TANGO6 (FFP) Rifle Scope comes with a lock down zero stop system, which allows quick return to zero to be set at you desired location. The Sig Sauer TANGO 6 series scopes are equipped with a motion activated reticle, when it senses motion it turns on, and when the scope is dormant it turns off the reticle to save battery life. 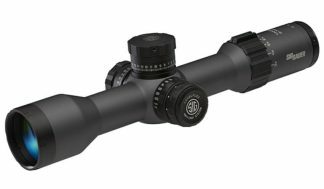 SIG’s TANGO6 Scopes (HDX optics) extra-low dispersion glass (LD) combined with high transmittance glass (HT) provide industry leading light transmission and optical clarity for any situation. Xtreme Guns and Ammo in Richmond Texas carries the full line of SIG TANGO6 Rifle Scopes for Tactical and Long Range applications. We also offer package deals on Sig Sauer Rifle and SIG TANGO6 Scope Purchases. Feel free to call XGA with all your Sig Sauer Rifle Scope Questions, at 832-363-3783 or chat with us online during regular chat hours.